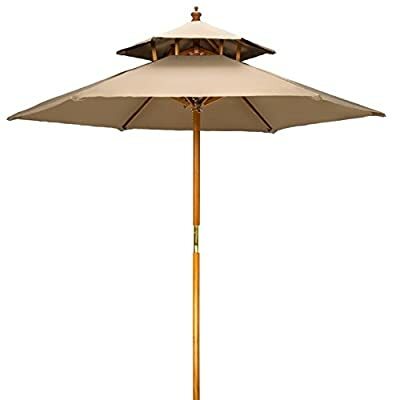 8-ribs and 1.5-inch center pole. 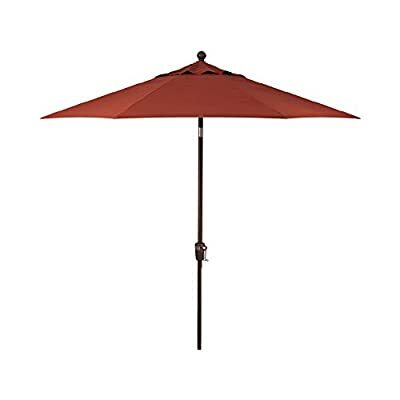 Includes single wind vent for stability. 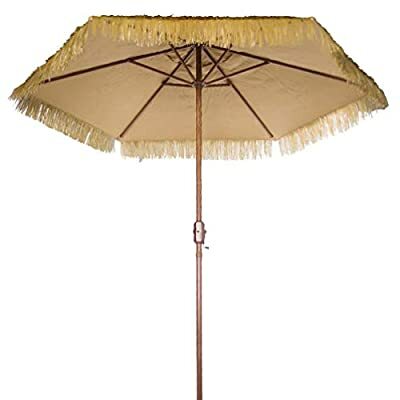 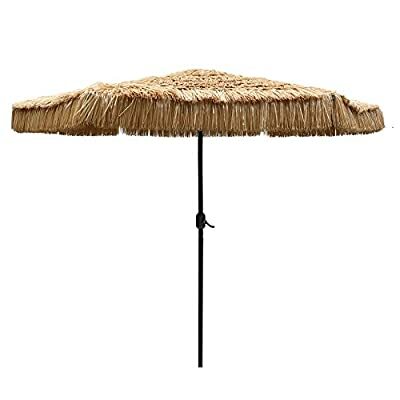 9′ diameter canopy thatch umbrella with black rust- free powder coated finish. 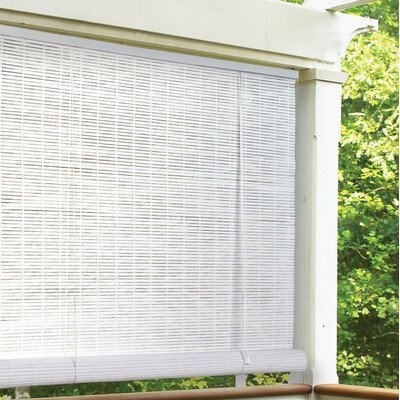 Canopy material will not fade in color. 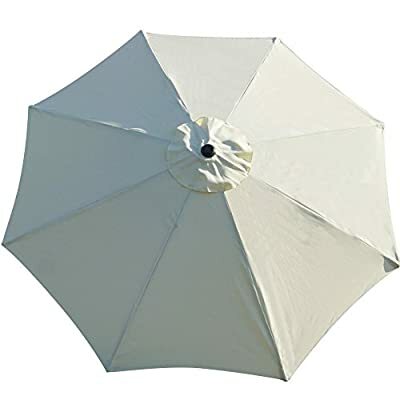 POLYESTER UMBRELLA – Durable polyester that can be waterproof and block up to 99% of harmful UV rays, fade resistant, mildew resistant, easy to clean. 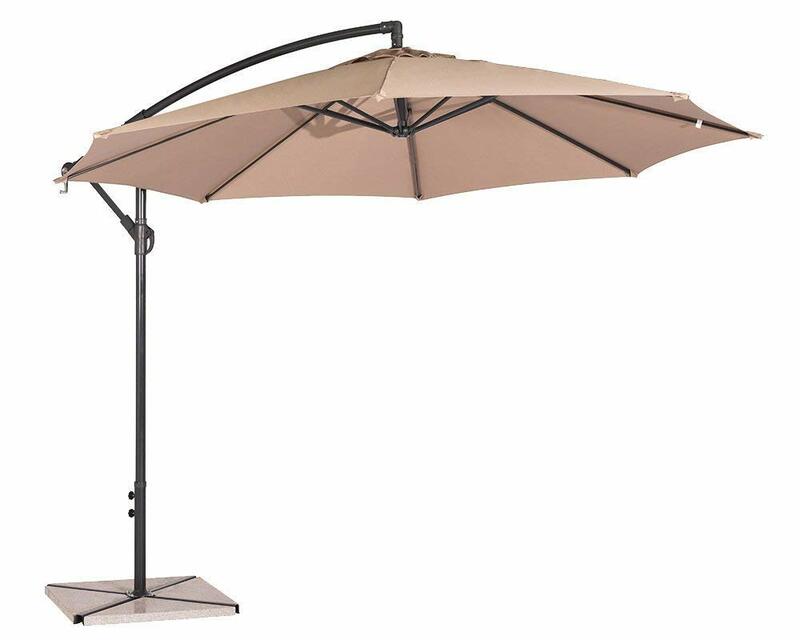 CONVENIENT CRANK – Convenient crank and cantilever operation system for smooth opening and closing. 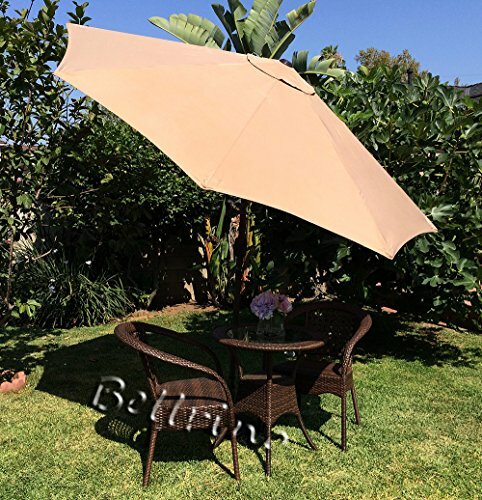 You can easily adjust the umbrella to any angle of shading, providing you with a full protection from the sun or wind all the time. 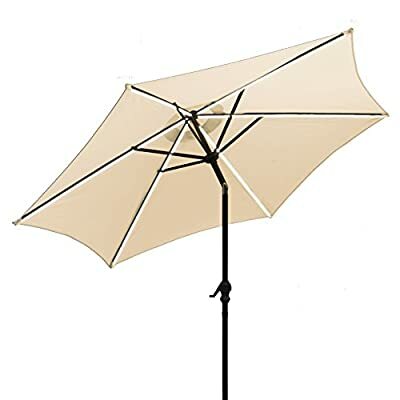 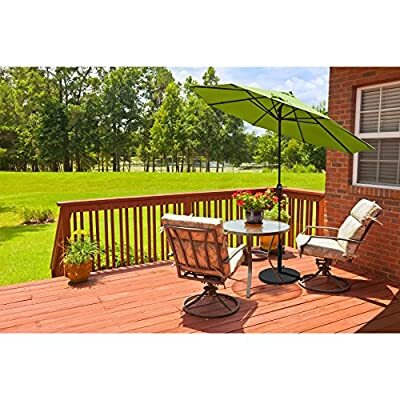 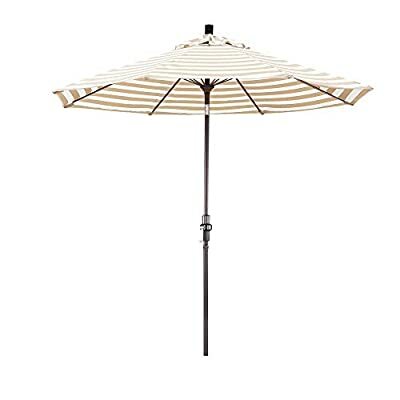 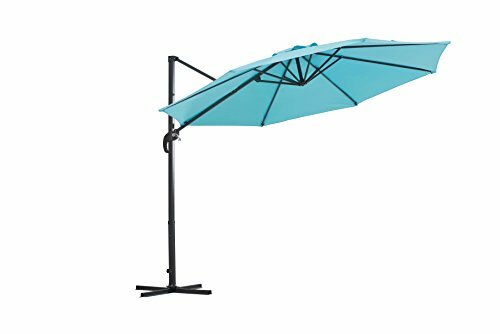 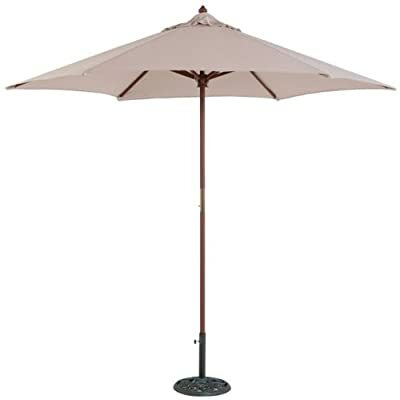 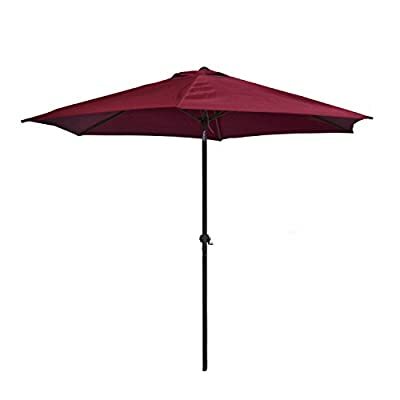 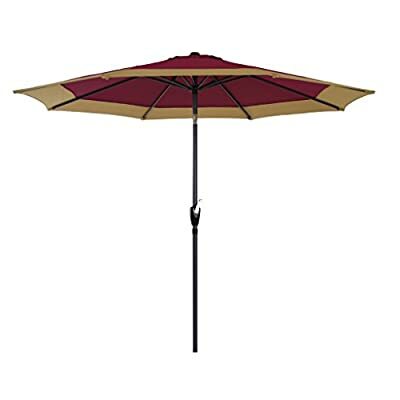 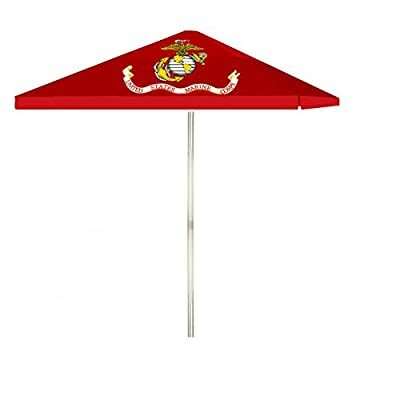 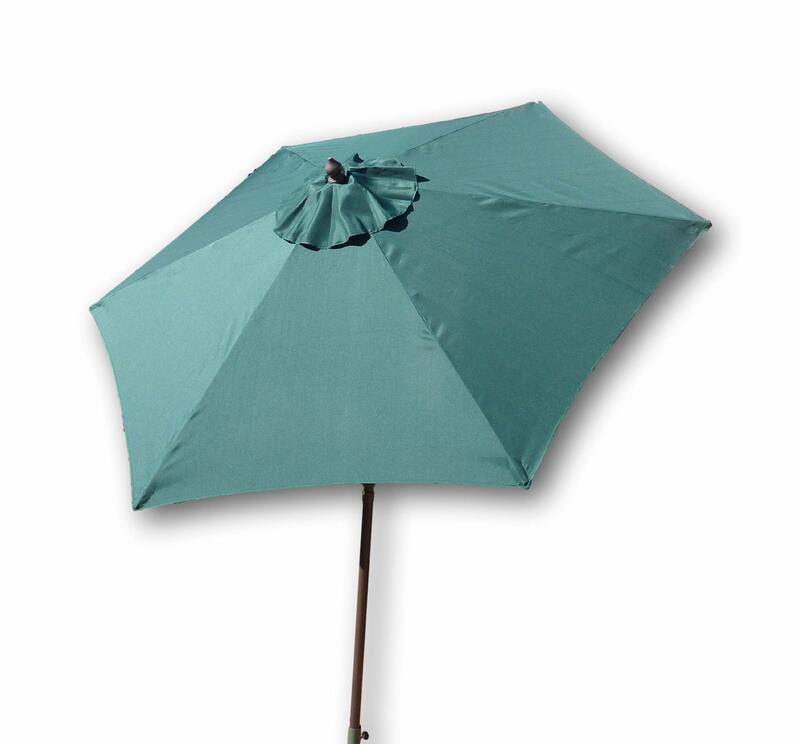 ALL DAY SHADE – 9.5 ft patio umbrella provides more shading area. 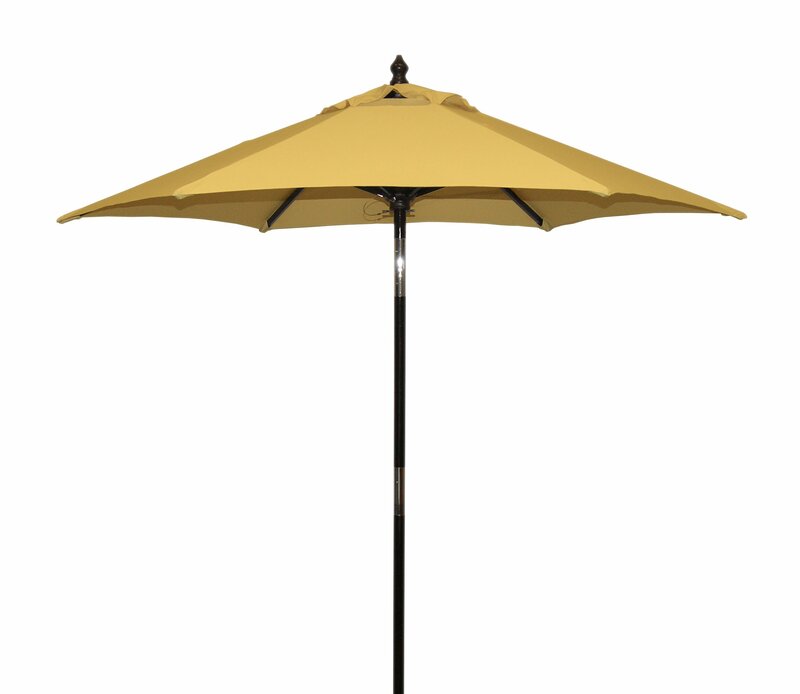 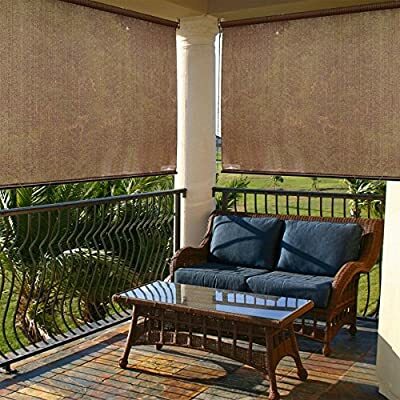 Ideal for garden, pool, deck, porch, yard, lawn, backyard, balcony, restaurant, and any other outdoor area. 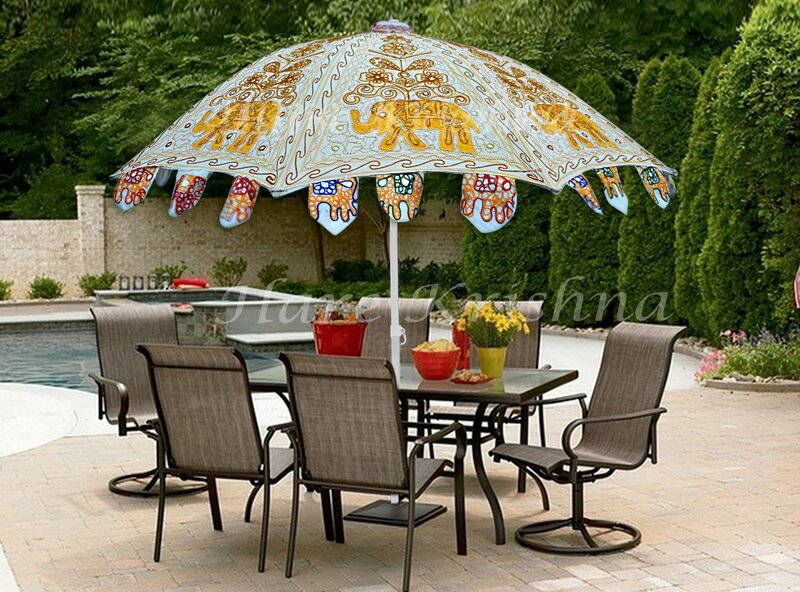 These Umbrella are designed in various color combination and are offered in a multitude of motifs, patterns, various other specifications. 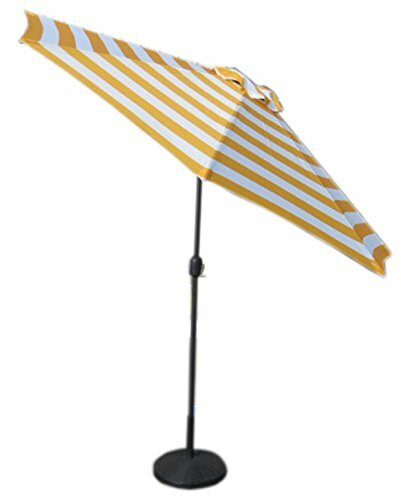 MELANOMA INTERNATIONAL FOUNDATION – UV-Blocker Beach umbrellas are recognized by the MIF as effective tools in the battle against skin cancer and a leader in sun safety. 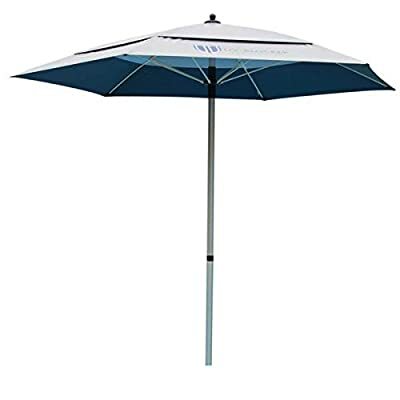 UPF 55+ MAXIMUM UV PROTECTION – The UV-Blocker Beach umbrella will keep your skin safe and protected from over 99% of UVA and UVB rays. 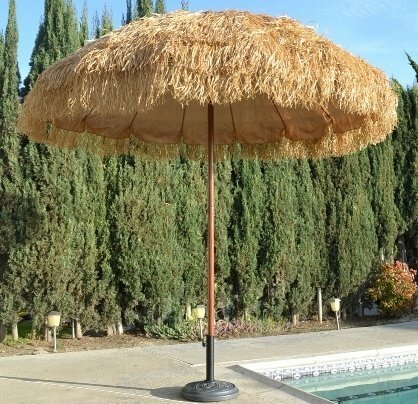 15 DEGREES COOLER – Stay 15 degrees cooler under the UV-Blocker beach sun umbrella with our patented Double Canopy Vented Mesh System. 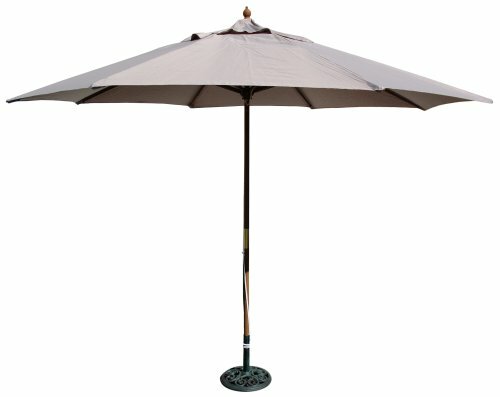 The airflow allows heat to escape through the unique ventilation design of the umbrella upper canopy.